The experience lacks so many things: transparency, fairness, timeliness and so on that solutions to date have only addressed part of the problem. LinkedIn made the resume digital and put people in (mostly) one place. Others have created labor marketplaces and educational resources to “fix” hiring, but last time I checked hiring was still broken. 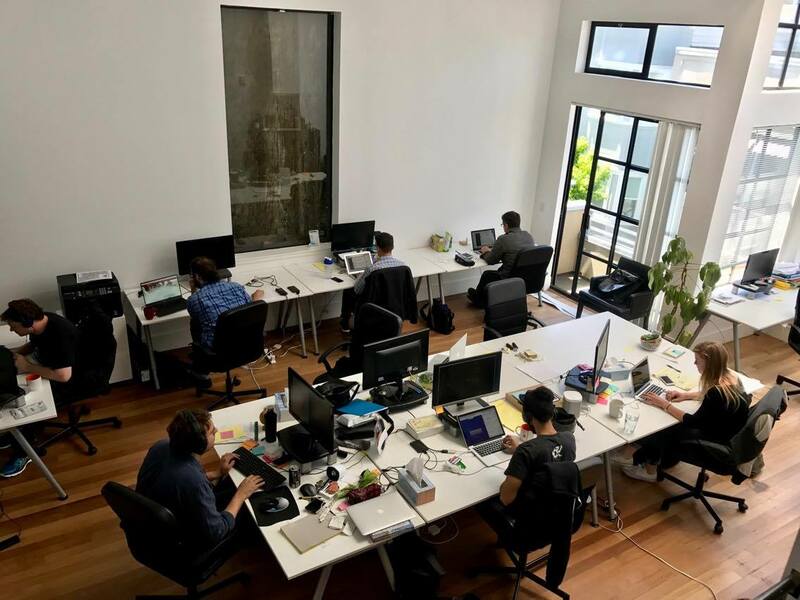 With 11.4 million in Series A financing led by Emergence Capital, Mya Systems manages to complement this market and stands on its own as a machine intelligence-powered tool for recruiters and applicants. Mya is a bot, and that means when I first went to meet the team I was skeptical. Bots tend to be user interface decisions, not products. But Mya doesn’t passively recommend GIFs, it unlocks economies of scale for recruiting agencies and massive enterprises by centralizing and automating aspects of high-volume recruiting. To be clear, we’re not talking about high-volume in Silicon Valley speak where Google hires a thousand engineers. Rather, think in the scale of agencies that recruit for major retail brands and help fill warehouse jobs. These groups are hiring tens and even hundreds of thousands of workers at a time. Eyal Grayevsky, CEO of Mya Systems, explained to me that the existing recruiting process for these jobs is highly transactional. Applicants regularly opt out of submitting resumes and have no online presence to evaluate. This means that to vet a candidate, a recruiter has to collect a lot of basic and repetitive information. Thankfully, basic and repetitive tasks tend to be where machine intelligence shines and that’s no different here. Mya can pose questions to applicants to determine their availability to fill shifts and even assist applicants and recruiters in scheduling calls. 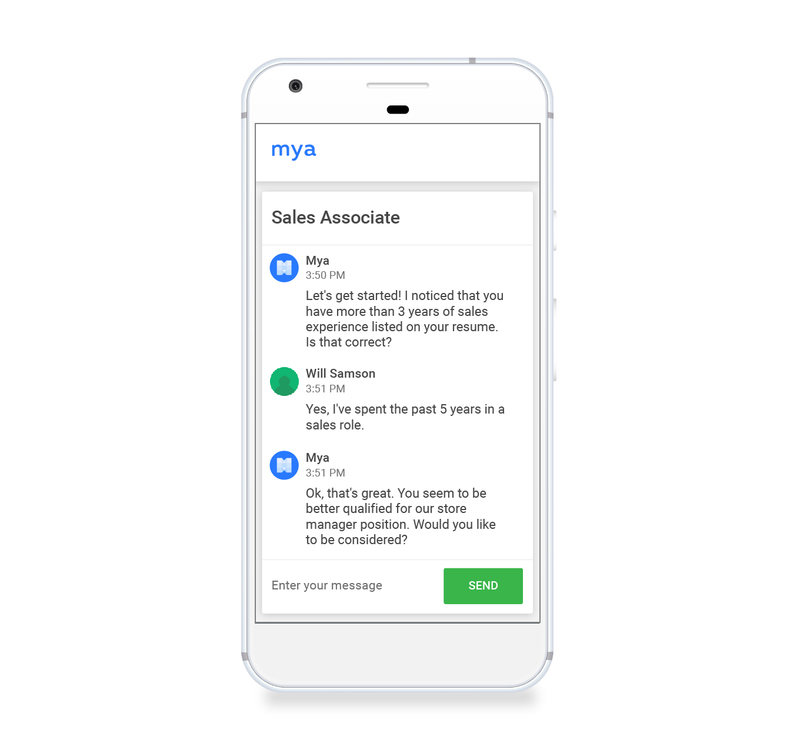 Having a strong implementation of natural language processing as a backbone helps Mya to interface smoothly with candidates and maximize the amount of information that can be collected in a short period of time. And while all of this automation is great and frees up bandwidth for recruiters to actually recruit, the truly interesting part of Mya’s pitch is forward looking. At scale, Mya might be able to centralize recruiting for multiple companies simultaneously, without the need for agencies. The resulting world would be an efficient one where more of the recruiting process could occur in the background, unbeknownst to job seekers— such a system could automagically generate a full day interview slate for someone with only the candidates that are a best fit. The Mya Systems office. The team plans to move to a larger place in the near future. This isn’t to say that Mya isn’t already driving positive social benefits. Small gestures, like reminding applicants a few hours before their interview, can drive better outcomes across the board. Grayevsky plans to use the new capital to build out the company’s technical team. Mya Systems will also be upgrading to a larger office space in the near future to make room for the new hires.